The Denver Nuggets went into Tuesday’s game with a bad taste in their mouth after putting together one of their worst performances since the All-Star break when they fell 124-88 to the Indiana Pacers. That snapped their six-game winning streak. 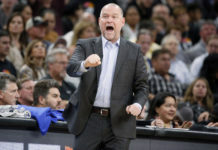 Then, the Nuggets got back to their home arena where they have the best overall record in the NBA and welcomed in a Detroit Pistons team that was in desperation mode as the playoffs drew closer. Both teams needed the win for playoff seeding, so it was known that each team would fight until the very end. The Nuggets struck first, but Detroit hung around and gave Denver their best shot at the end, but the home team escaped with a 95-92 win. That victory moved them back into a tie with the Warriors for the first seed in the Western Conference playoff picture. With that, I give you the good, bad and ugly. 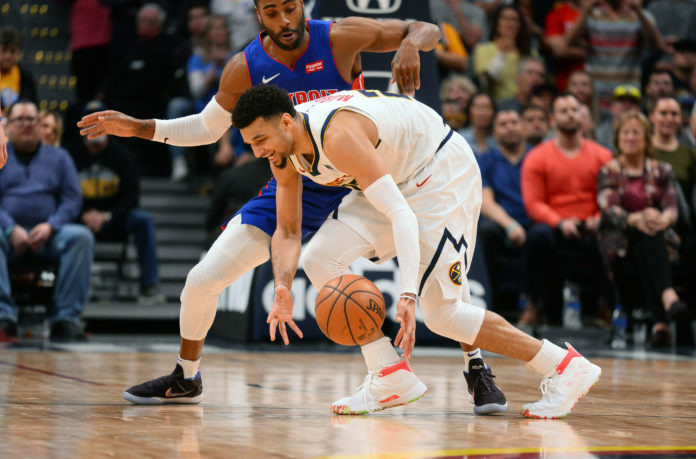 Two of the main things that stood out in this one was the way that the Nuggets came out firing and also the play of Jamal Murray. Denver started the game with unarguably their best defensive quarter of the season as Denver held the Pistons to only nine points in the first 12 minutes. Denver led by 18 at the end of the first quarter and it was their defense that showed up in a major way. Denver ran shooters off the 3-point line and did not let Detroit get comfortable as the visitors shot 4-29 from the field to begin the game. The Pistons did not hit a 3-pointer in the first quarter as they went 0-for-8 from beyond the arc and that smothering defense led to open baskets on the other end as the Nuggets were in the flow early. One of the main beneficiaries of the quick start that Denver got off to was Murray as he had one of his best games as of late. Heading into the game, one of the main areas of concern was the play of Murray and his shooting struggles. 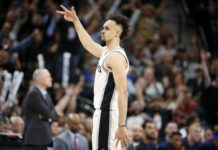 Murray has been having an up-and-down season with scoring and his shooting has taken a hit as well. He made sure to get into a rhythm early. Murray had 18 points in the second quarter and finished the half with 24 points on 9-of-12 shooting. He was decisive and got to his spots. 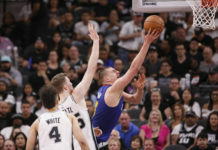 He let the offense come to him instead of forcing contested shots and when the Nuggets needed him most, he closed out Detroit with two clutch free throws and a couple timely buckets in the fourth quarter. Mirray finished with 33 points on the night and saved Denver from what would have been the worst loss of the season. The point of emphasis heading into the game was how the Nuggets would stop both Blake Griffin and Andre Drummond and yet somehow both of them had monster games. One of the key areas of concern when facing the Pistons is attempting to win the rebound battle as they have one of the league’s best rebounding tandems. Denver was only out-rebounded by one, but allowed Detroit to get 17 offensive rebounds in the game which made Michael Malone furious early on. Griffin did not have a super-efficient night as he went 12-of-32 from the field, but he did however finish with 29 points and 15 rebounds. Drummond also struggled from an efficiency standpoint, but his work on the glass gave plenty of second chance opportunities and he was able to finish the game with 13 points and 17 rebounds. Both of Detroit’s big men got hot in the second half and were pivotal in the Pistons making a comeback attempt. The Nuggets will have to find a way to get back to the basics on defense and also limit rebounds because those things gave the Pistons an extra life so to speak. After squandering a 27-point halftime lead, it is rather obvious what the ugly was in the game. Denver escaped with another victory and got to 50 wins on the season — their first time since the 2012-13 season which is a remarkable accomplishment — but this was a game that Malone referred to as disappointing. Denver committed 10 of their 14 turnovers in the second half and the offense did not look anything like the team that started the game as they were outscored 53-29 by Detroit in the second half. Denver has been finding ways to win these close games, which is a great sign; especially for a team so young. But they are also taking too many quarters off or, in this instance, an entire half. With the playoffs looming, Denver cannot afford to get into habits of not playing winning basketball for four-straight quarters. The Nuggets are going to need complete games if they plan on making a deep run in the playoffs and, lucky for them, with their nine remaining games, seven are against teams in playoff position. Denver will be challenged for the rest of the year which gives them an opportunity to break these bad habits.